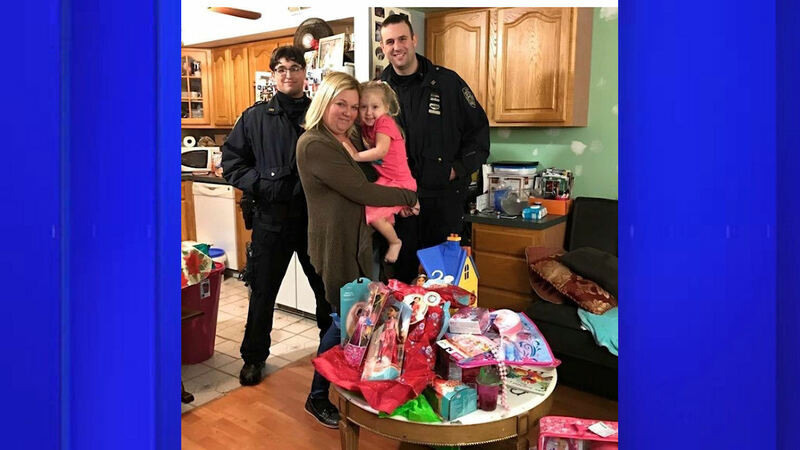 NEW YORK -- Two New York City police officers have given a 4-year-old girl lots of toys to replace her stolen birthday presents. The thief struck on Saturday. Little Sammi Sietz's family was parked outside a restaurant when someone shattered a window of their minivan. Officers Frank Callaghan and Michael McAvoy arrived at their home on Sunday with dozens of toys. Mom Kim Briano Sietz says her happy child told her: "Look, Momma, they found my presents." Sietz says Sammi's birthday celebration had helped take her mind off the loss of her husband, Matthew Sietz, who died three years ago. She says the family was horrified by the theft. Sietz says the officers have restored her faith in people. She says it's a gift they'll "never forget."